The South Korean branch of British liquor firm Diageo will expand and popularize its beer lineup as part of alternative plans to slowing growth of whiskey market here, its head said Tuesday. 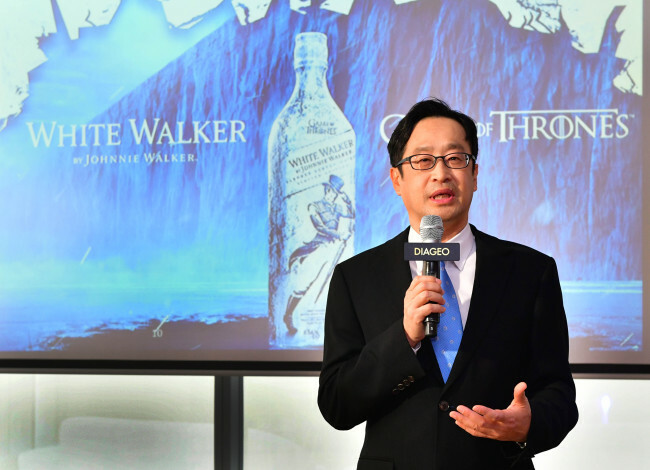 Diageo Korea CEO Lee Kyung-woo told reporters that the company would strengthen its imported beer lineup next year, particularly its stout beer brand Guinness, stressing the fast-growing beer market here. “Imported beer is seeing two-digit growth each year in Korea. With continuous market growth expected for another year, we want to grow our Guinness as a leading stout,” Lee told reporters. The company might introduce an Irish beer brand early next year, he said without elaborating. Lee, a veteran retail marketing expert, led discount chain Homeplus’ mall business division prior to joining Diageo Korea in February. He also worked at Converse Korea, CJ Cheiljedang and Johnson and Johnson. According to market data, imported beers recorded 216 million won ($192,000) in sales from January to September last year, an increase of about 50 percent on-year. Despite the rising popularity of beer, the company said it would not give up on South Korea‘s whiskey market, which suffered from declining demand for heavy liquor. Instead, the company has been focusing on introducing quality whiskey and launching small portion bottles for solo drinkers. The company has been selling repackaged 200-mililiter Johnny Walker Red and Black bottles since 2016. According to the company, it has seen 17 percent growth year-on-year in sales at convenience stores from November last year to June this year.